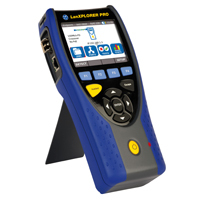 LanXPLORER PRO is an outstanding In-Line Active and Passive network testing tool from IDEAL INDUSTRIES, INC. It offers unsurpassed test capability for Local Area Network management with state-of-the-art touchscreen interface and large clear color display. 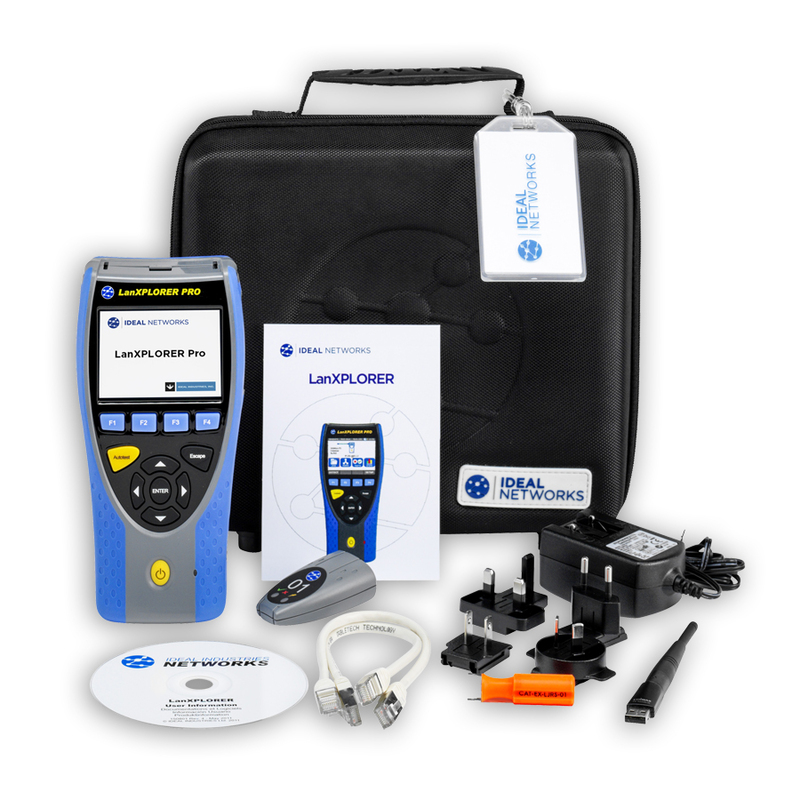 LanXPLORER PRO is a high quality, powerful, convenient and easy to use tester unrivalled by any other product available today. With full In-Line and Endpoint test capabilities, LanXPLORER PRO tests not only copper cables but also active LAN connections over copper and fiber links. In addition, it liberates the user from cables by allowing most tests to be conducted through a wireless connection offering unparalleled flexibility. With such comprehensive test capability and ease of use, LanXPLORER PRO is the perfect tool to meet the needs of professional IT installers and systems administrators in any enterprise, campus or industrial Ethernet environment. - USB Interface & Internal Memory Internal memory for up to 100 tests in XML format. 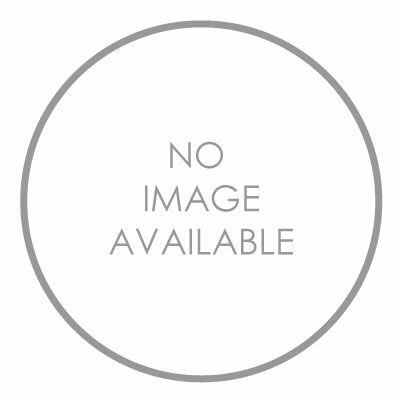 Job manager for efficient organization of results. Data exportable to PC via USB flash drive.